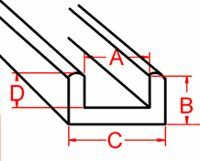 A=5/32" B=3/32" C=3/16" D=1/16" E=1/16"
A=5/32" B=1/16" C=7/32" D=1/16" E=1/32"
A=1/8" B=1/8" C=7/32" D=3/32" E=5/32"
A=5/32" B=3/16" C=1/4" D=1/8" E=1/8"
A=.3/16" B=1/4" C=5/16" D=3/16" E=9/32"
A=5/32" B=3/16" C=7/32" D=1/8" E=1/8"
SU-385 & SU-500 do not ship well coiled or curved in half for cheaper shipping. Please choose to ship in 6 ft lengths or cut in half. 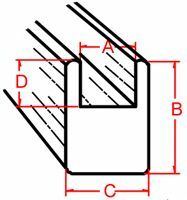 A=5/32" B=3/16" C=5/16" D=1/16" E=3/32"
A=5/32" B=7/32" C=1/4" D=3/32" E=1/32"
A=3/16" B=1/4" C=5/16" D=1/8" E=5/32"
A=5/32" B=5/32" C=1/4" D=1/16" E=3/32"
A=3/16" B=7/32" C=5/16" D=3/32" E=1/8"
These sizes do not ship well bent in half so to save shipping $$, we only ship in straight lengths and there is a 10 piece minimum for cost effectiveness. These sizes do incur a $6.00 boxing charge for the wood/packing for full lengths plus UPS will tack on a $15.25 surcharge for the oversized box. They can also be cut in half sent in a 3 foot box to save on shipping costs and will incur a $3.00 boxing charge for the wood and packing. The case cannot be cut in half. WARNING - This product contains Lead and may contain other toxic metals or chemicals! Ingestion may cause lead poisoning. Do Not Breathe Dust or Fumes. Use Noish approved protection when necessary. Use only with adequate ventilation. Wash hands before eating, drinking, and smoking. - UPS charges an additional $ 10.00 oversized handling fee plus a $5.25 surcharge, then the cost of the actual box weight. - These are pre-packed by the manufacturer - ready to ship. There is a wooden board inside the box so no extra packing is needed. We string tape up the ends for safety. Can now be sent USPS to Alaska and Hawaii! - By default, if possible we will roll the came into coils for small orders. We can then ship via USPS for most economical shipping. - If there are other items in the order which requires a larger box, we can bend the came once in half and shrink wrap it to cardboard and put it your box with the rest of your order. If you are looking for Zinc, Copper & Brass Channel - Click Here! 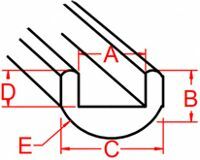 Holds pieces of glass in place while leading. Flat sides prevent damage to came. Aanraku Stained Glass is producing the first new innovation for doing leaded glass in years. 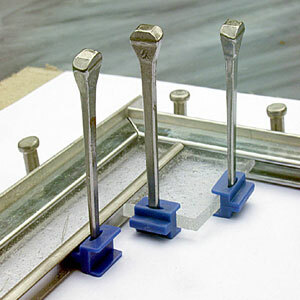 Lead & Glass Stop Blocks replace the messy scraps of lead and glass you've had to use to hold glass and lead in place when assembling leaded windows. No more chipped glass edges. No more deformed lead profiles. No more wasted lead. Simple, easy to use, and gives your work board a polished professional look. Comes in a pack of 25. 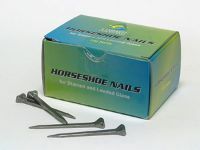 Can be used in place of horseshoe nails when working with came. Box of 100 5/8" steel point, Aluminum heads. Cuts through lead easily with minimal pressure. Stainless steel blade won't rust or corrode and can be sharpened. 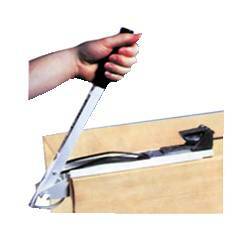 Base of handle can be used to tap nails and stops into place. Fine honed edges for precision cutting, especially on lead came. 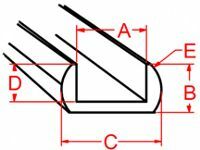 Diagonal cutting pliers with special flush-ground jaws to prevent distortion of came, cuts perfectly straight or at mitered angles. 6" long, coated handles. Also known as Came Nippers. Whiting powder helps set up glazing cement and cleans up the excess cement on your glass. 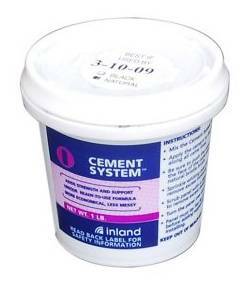 It is a fine ground calcium carbonate with a broad variety of uses. It can be used as a mild abrasive in cleaning and scouring powders for porcelain, ceramic tile and glass. For paint, it can be used both as an extender in paint pigments, as well as an additive to paint in order to thicken the paint for increased coverage and improved hiding power. 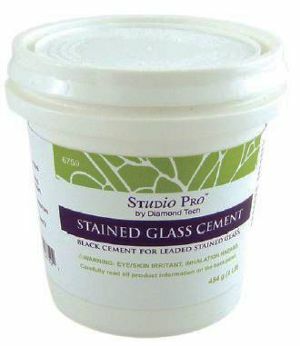 Glass Pro Cement is used to secure glass into came. It is fast setting, black colored and designed for strengthening and waterproofing leaded glass panels. 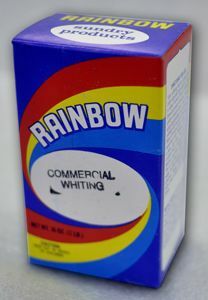 Also, it cleans up easily with whiting. Stretch your came with this sure grip Lead Vise with quick release. Convenient size mounts to your work table without getting in the way. Utilizes a strong spring and grooved teeth to keep lead came in place while stretching. 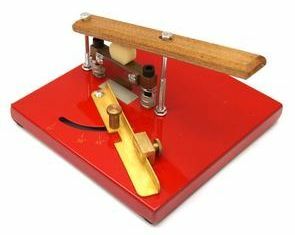 Lead came should be stretched before using, to temper and straighten it. Using leverage of the long handle hooked over your work table edge, you can easily and safely stretch any size lead came up to 5/8" wide. You’ll wonder how you got along without it. Includes Lead Vise. 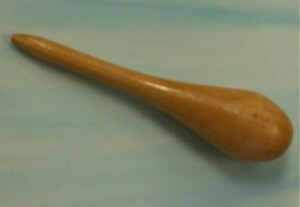 Hardwood tool designed just for opening lead came channels. A handy plastic tool to aid in opening lead came.